Even if you’ve only been in Dubai for five minutes, you’ve probably heard about the institution that is the Traiteur brunch. The lavish brunch at Park Hyatt Dubai is widely considered to be one of the city’s best – no mean feat, in a city where brunching is practically an Olympic-level sport. Taking place at the stunning The Promenade, the Traiteur brunch extends through the indoor seating at Mediterranean-inspired Brasserie du Park, across to the alfresco nautical-themed NOÉPE, so you’ve got a choice of seating all serving up a side of stunning Dubai Creek views. 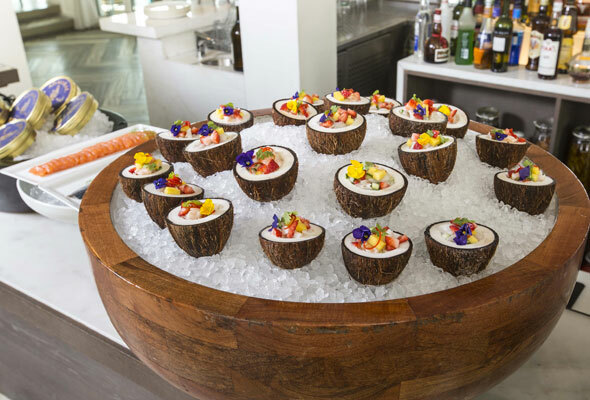 You’ll find all of the decadent dishes the Traiteur brunch is so renowned for, such as pan-seared foie gras, scallops and freshly shucked Fine de Claire oysters, as well as unlimited servings of lobster, shrimp and salmon. Those with a sweet tooth can head to the dessert room (yes, an actual room filled with desert) where they can delight at crepe and waffle stations, a chocolate fountain, and an immense selection of desserts, including opera cake, eclairs, and creme brulee. Adding to the experience is a live band and in-house DJ, providing the perfect soundtrack to your Friday afternoon. With packages starting from Dhs495 for soft drinks and Dhs695 for sparkling, there’s no denying this is a real treat. 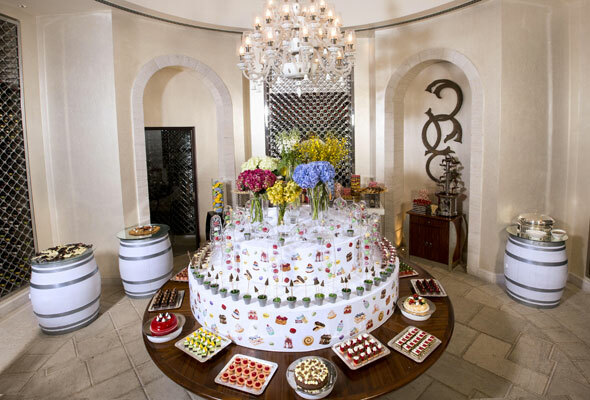 But the Traiteur brunch is definitely one that every discerning Dubai brunch-goer should experience, at least once.